Raimunda: [to self] It smells of... farts, my mother's farts. This is simple story about 3 generations of women: the grandmother Irene(Carmen Maura), her daughters Raimunda (Penélope Cruz)and Sole (Lola Dueñas) and her granddaughter Paula(Yohana Cobo). It takes place mainly in Madrid, in a neighbourhood where various ethnic groups and people from the different provinces of Spain live, people who went to Madrid looking for a better tomorrow. Raimunda, Sole and Paula have to go back to their home town to praise the dead and meet one of their aunts, Tia Paula (Chus Lampreave). 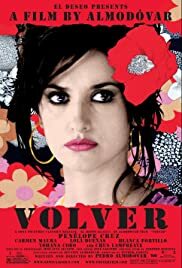 Soon the old aunt dies and unleashes a serious of mysterious events, their dead mother re-appears to settle some unresolved issues with her daughters and with her neighbour, Augustina (Blanca Portillo), revealing a past until then unknown. This is movie about the Spanish culture, homesickness, the culture of the death and the struggle of 4 women with strong character and strong personality traits to survive wind, fire and death. It is extremely well produced and has great photography as well as an unmatchable soundtrack. It is a very nice movie, filled with laughter and emotions and with a beautiful simplicity . If you are waiting for a Hollywood romance, a Hollywood comedy or a twisting complex plot, this might not be what you are looking for.